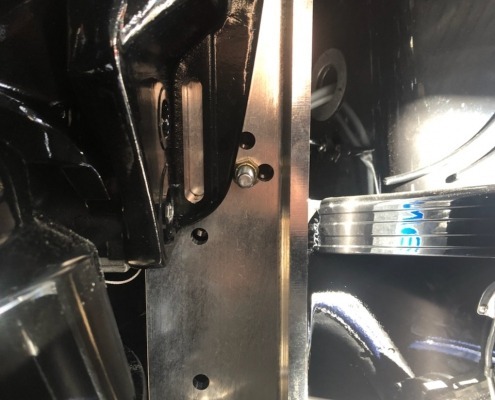 The first photos shows interference between a mounting bolt and the flange on a new outboard motor. 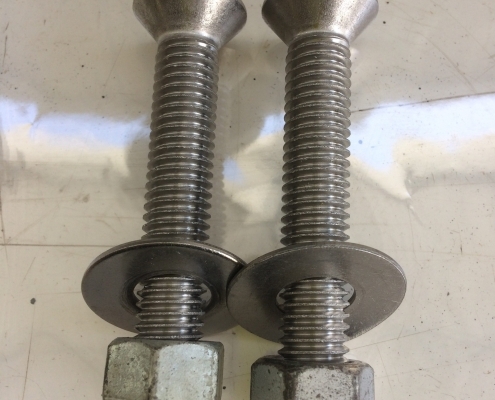 The next couple show how we fix that problem. 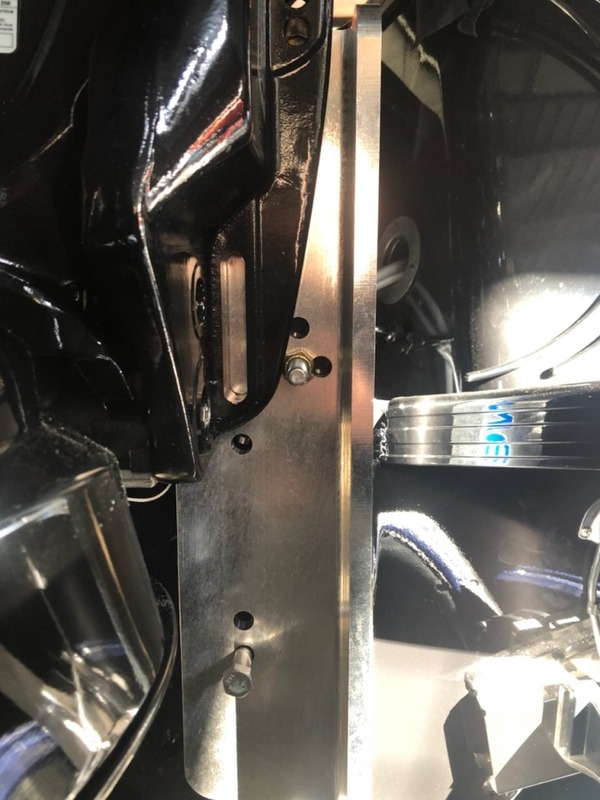 For this option we taper both holes that may interfere with the Outboard mounting bracket. 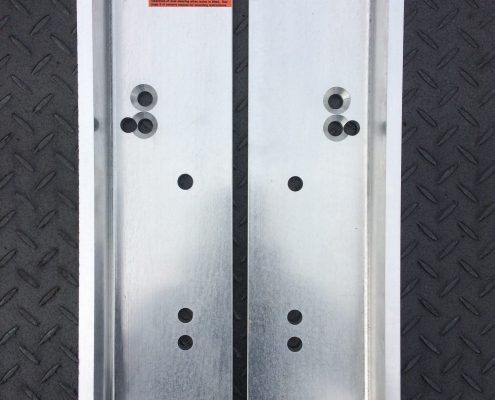 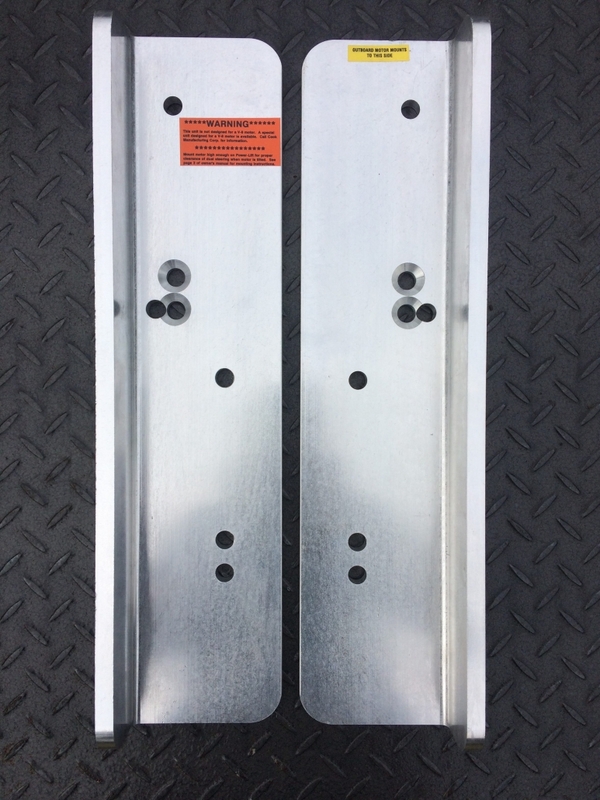 This ensures that you can use either set of mounting bolt holes in the plates. 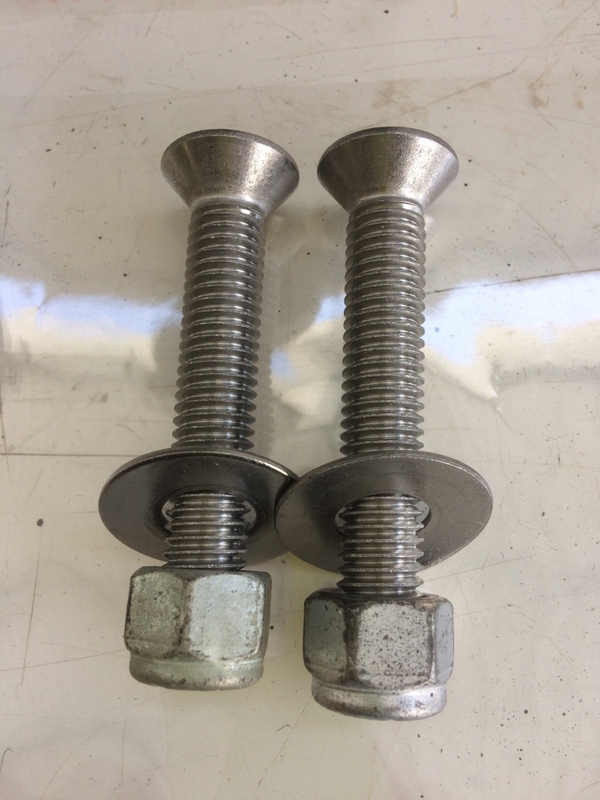 Ring if you have questions or would like to order the Tapered Bolt mounting Kit.